The carrycot folds in a matter of seconds. It also folds together with the frame. 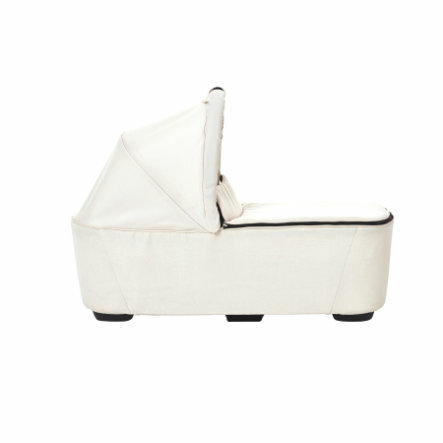 The sturdy base provides protection, the flat cot is a practical travel companion. Attaches and removes to the frame with a few moves. Sturdy feet for free stand. • Including mattress, sheet and wind and sun canopy. • Including rain cover and mosquito net.